Worried a good bit about this corner prior to attempting it. 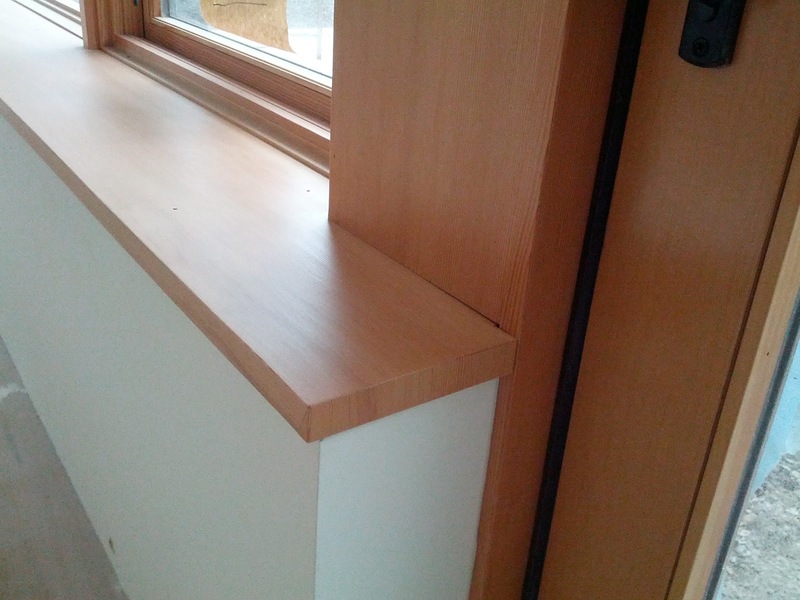 A few shots of our new wood sills & trim at the living room. 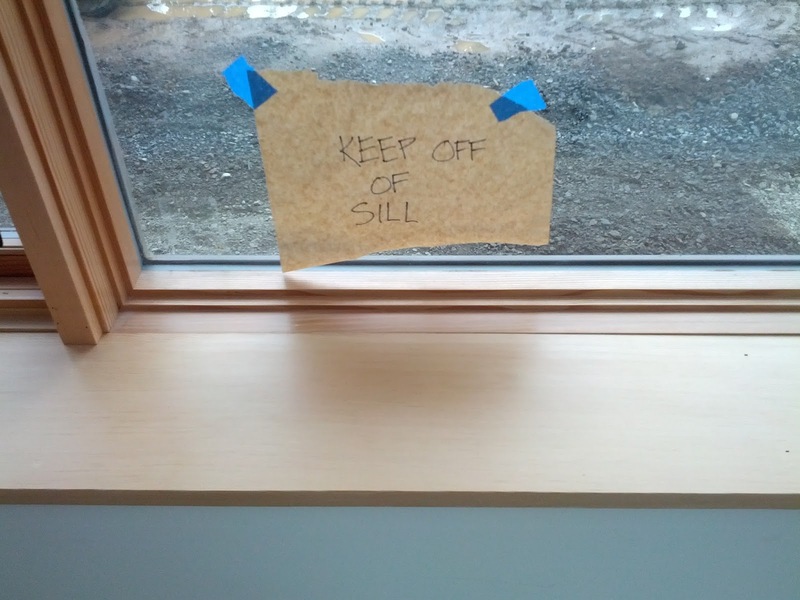 The interior sills are extra deep to cover the thick walls insulating the concrete foundation, and to provide a place for plants, objects, etc.. Turned down edge to cover the end grain. Wide vertical piece at the column between the doors and the windows. I've been worrying about getting these right for some time. I did screw up one piece (measured a vertical piece only to find the substrate flared at the top), but luckily it was an easy piece to replace. 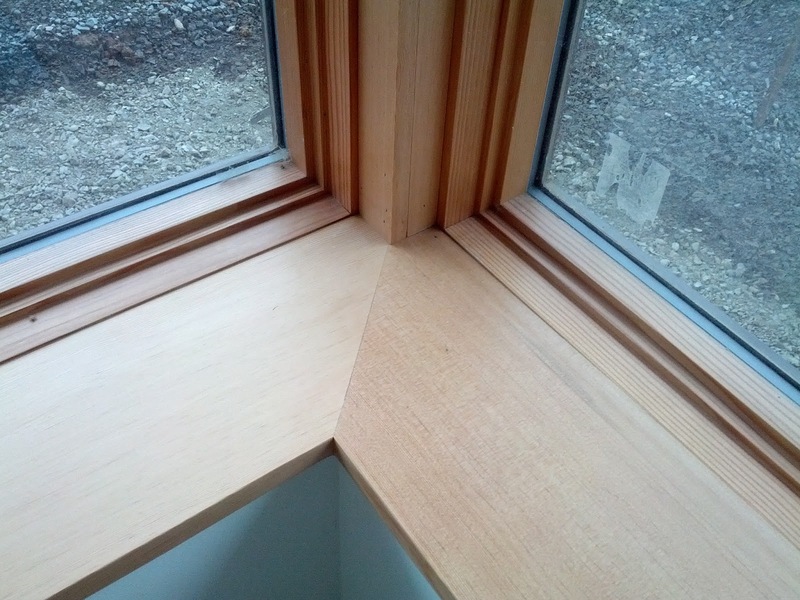 The window casings on these large windows do bow a bit, so the alignment with the sills goes from zero at some points to 1/8".